Mandala Magick, the esoteric colouring of mandalas for people of all ages who want to find inner peace and discover the positive loving energy that sleeps inside every sentient being. Or … you can just doodle along with a freewheeling mind perhaps to discover your hidden artistry and inner harmony but always to have fun. Send your art to friends as a token of personal healing. Bring some magick into your life and let’s ”heal the world”. Concept and mandalas provided by Roy Hulsbergen. Suitable for children, adults and the elderly. 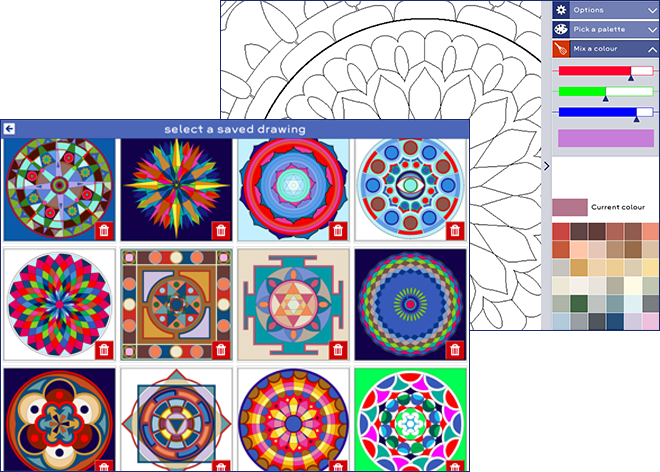 Get the app Mandala Magick here.